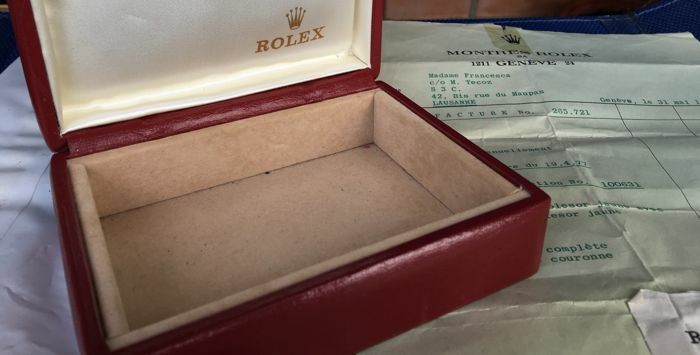 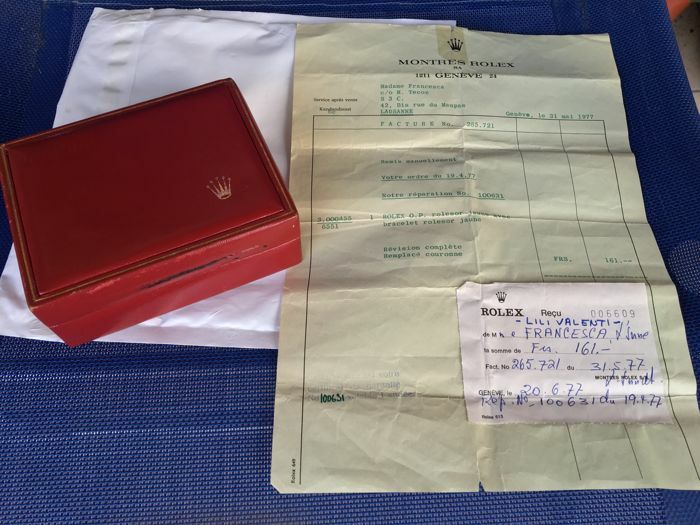 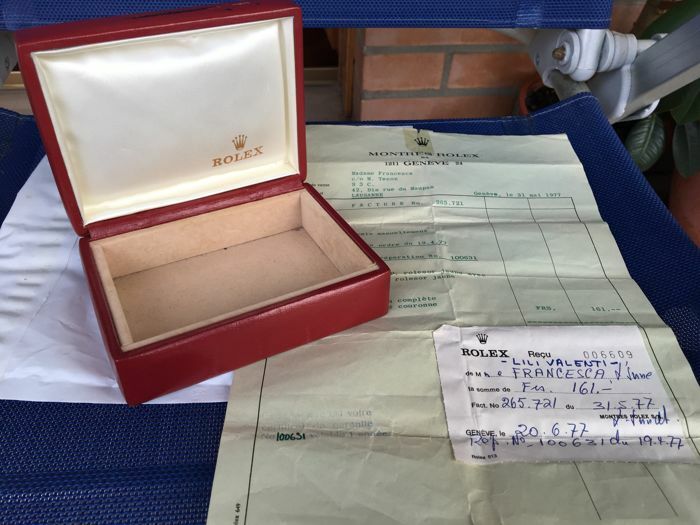 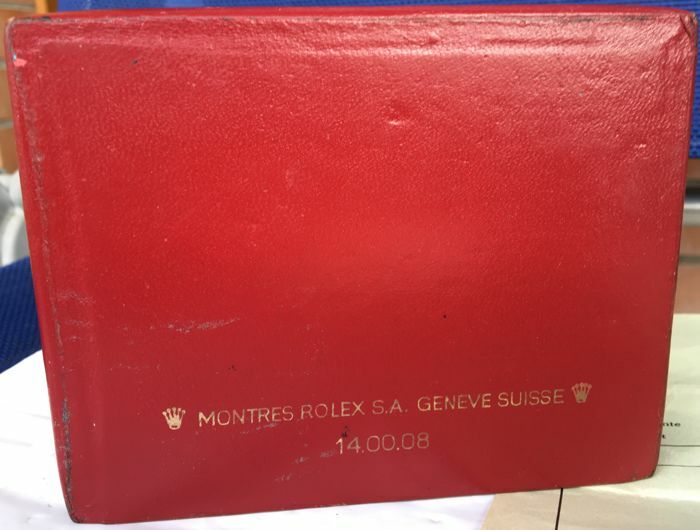 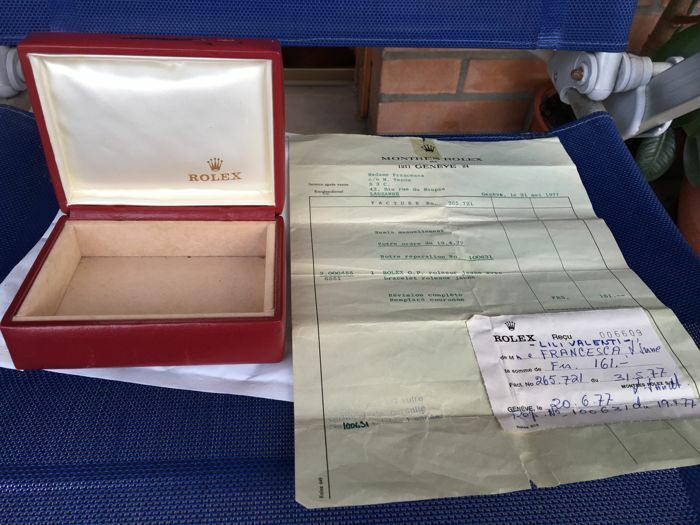 Red leather Rolex box from the 1970s + original Rolex warranty for timepiece revision, 1977. 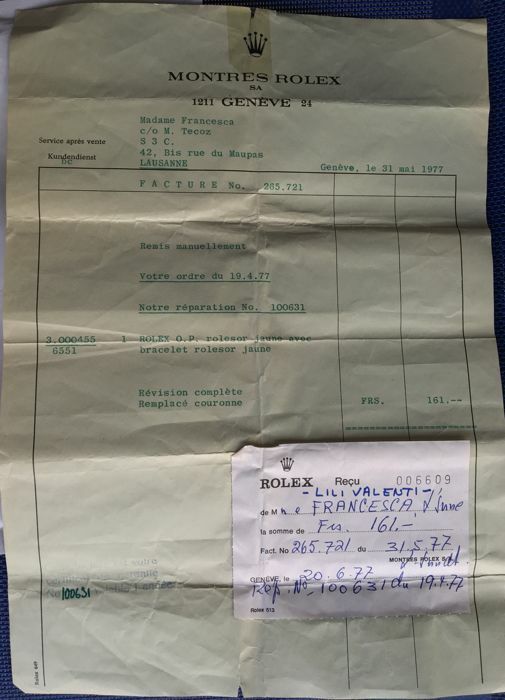 All of it original from the time, very rare, especially the watch revision paper. 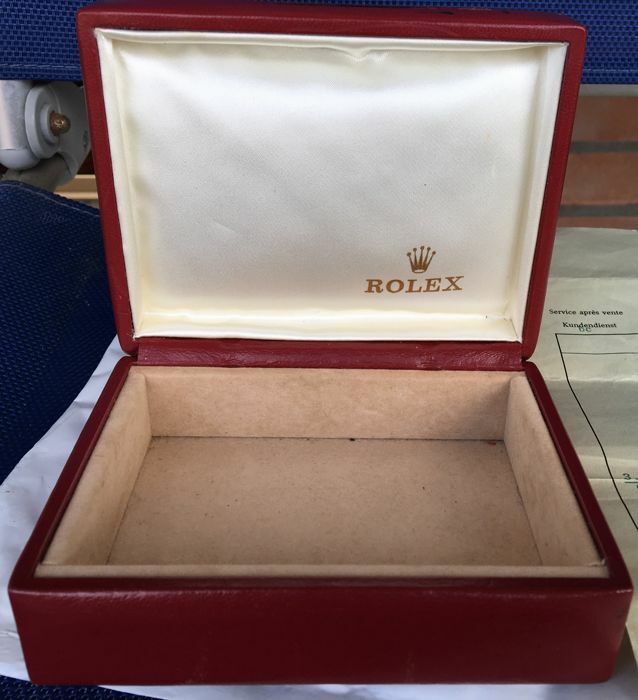 For real Rolex fans and collectors. 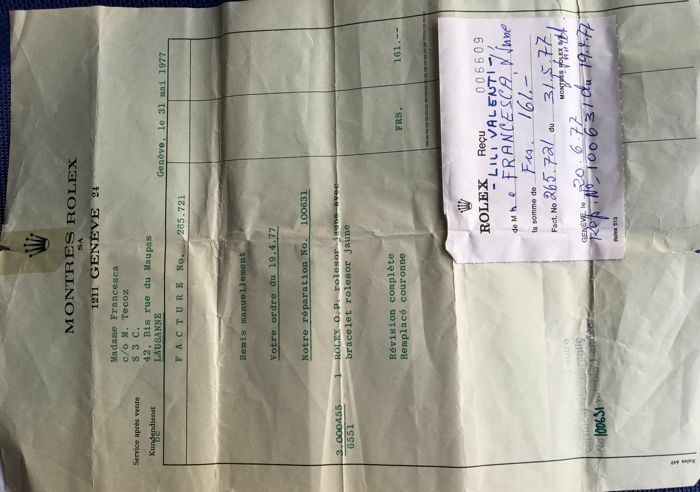 Worldwide shipping via tracked mail.